One of Drewry’s flagship reports, Ship Operating Costs 2018/19 provides one of the most complete annual assessments of ship operating costs available in a single source. Operating cost assessments are provided for 46 representative ship types, spanning the oil, chemical, LNG, LPG, dry, bulk, container, general cargo, reefer and ro-ro sectors, as well as the newly introduced car carrier sector. For each ship type/size covered the report shows the historical trend in annual ship operating costs for the period 2013 to 2018, broken down by main cost head, and an assessment of 2018 ship operating costs by main cost head (e.g. insurance) and by sub-cost (e.g. hull and machinery insurance). The report contains annual projections of total ship operating costs by ship type and size to 2023. In addition, as well as assessments for the Drewry standard 10-year old ship, the report contains assessments of 2018 operating costs providing greater depth analysis for opex cost variances by sector, vessel size and vessel age. A comprehensive, global study of this nature is a powerful tool, enabling you to benchmark specific ship operating costs with confidence and clarity. No other source of information provides such a depth and breadth of insight, allowing you to drill down into specific cost heads. 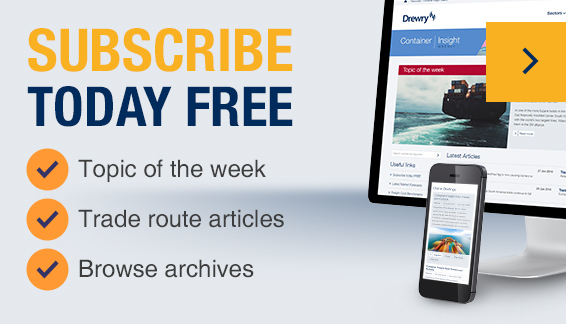 Drewry Maritime Research’s annual series of reports provide the type of data, in-depth analysis and objective comment you need to make well-informed business decisions. Independent in thought, they are valued and trusted by an elite client base of industry stakeholders and market players.